Business and media communities of Russia and China. 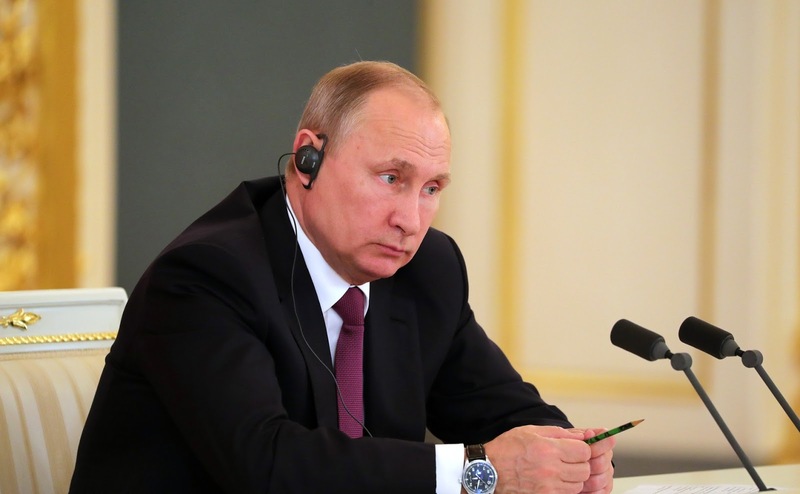 Putin.BLOG China Foreign Policy Business and media communities of Russia and China. 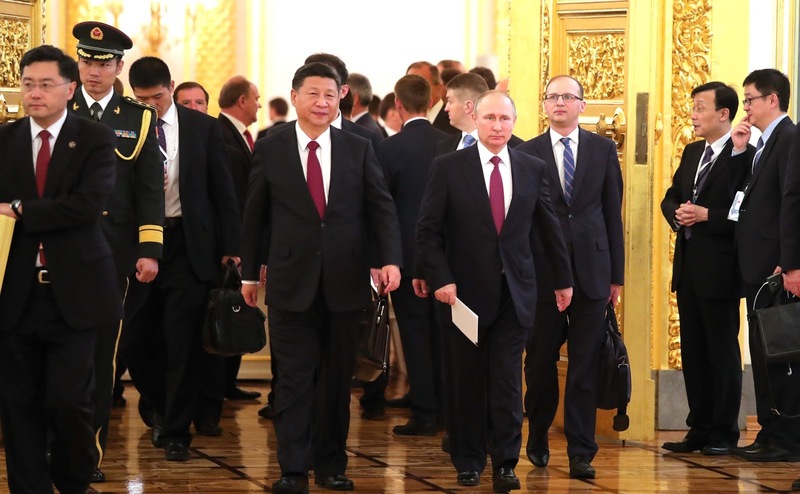 Vladimir Putin and Xi Jinping met with representatives of public organizations, business and media communities of the two countries as part of the Chinese President’s official visit to Russia. I am happy to welcome all of you to the Kremlin. For the first time, Russian and Chinese entrepreneurs, representatives of public organizations and the media community, all those who are creating a foundation for cooperation between Russia and China in the economic, humanitarian, scientific and information areas, and making a real contribution to the consolidation of friendship and mutual understanding between our peoples and countries are meeting at a common venue. We have just finished talks with President Xi Jinping. We have discussed in detail the status of bilateral ties and mapped out plans for the future. I must admit that the successful implementation of these plans depends not only on the performance of government bodies but also on the enthusiastic participation of the public and business circles and support from the media community. The Russian-Chinese Committee of Friendship, Peace and Development is playing a tangible role in this respect. Uniting politicians, entrepreneurs, heads of departments and regions, cultural figures, diplomats and journalists, the Committee has been a leading source of dialogue between China and Russia for 20 years now. 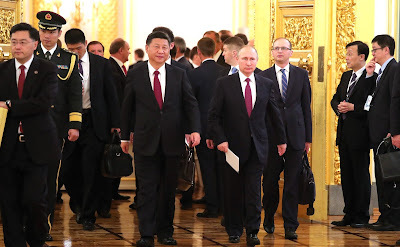 Vladimir Putin and Xi Jinping before the meeting with representatives of public organizations, business and media communities of Russia and China. Over 100 major events in business, culture, innovation, sport, medicine and education, to name a few, were held under the Committee’s aegis in 2016. Another 180 initiatives have been planned for this year. We hope the Russian-Chinese Committee of Friendship, Peace and Development will continue fulfilling its important mission in the same creative and novel way – promote the consolidation of mutual understanding and good-neighborly relations between our nations. The China-Russia Friendship Association is very much involved in public diplomacy. It is the successor to the Soviet-China Friendship Association founded back in 1957 and for these 60 years it has been dedicated to strengthening friendly ties between the two peoples. The Association brings together those who value close relations with our great neighbors, who love and respects the rich legacy, history and culture of the Chinese people. Today the Association initiates and organizes many large joint events and works hard to promote youth relations, and develop cooperation between Russian and Chinese regions. I would particularly like to mention the activity of the Russia-China business councils and the Russian-Chinese Chamber for Facilitating Trade in Machinery and Innovative Products which help major companies and associations in our countries establish everyday contacts, fulfil their initiatives in non-commodity exports, mechanical engineering, technology transfer and innovation. The results include such signature projects as the Yamal LNG project, construction of the Trans-Baikal Grain Terminal, and the aluminum production facilities in the Henan province. It is significant that this meeting is attended by representatives from the media and various media-related organizations from the two countries. They contribute greatly to building an atmosphere of trust and mutual understanding, and strengthening the international positions of Russia and China. They report, promptly and efficiently, verified information on the politics, the economy and the history of our countries, the lives of Russian and Chinese citizens to the global community. It is with your support that for the second year, a large inter-state project, the Year of the Russian and Chinese Media, successfully continues, with festivals, exhibitions, conferences and video linkups. We have also started joint film production. Today we gave a green light to a new modern animated television series featuring popular Russian and Chinese animated characters. The Third Russia-China Media Forum is underway in Moscow. Over 120 top managers from the leading media in Russia and China are participating. I would like to mention one of the agreements prepared in time for the forum, which is an agreement to launch the Katyusha television channel in China this year. It will be the third Russian channel available to the Chinese audience. Thank you very much for your work together. Thank you for your attention. I am really happy to have this meeting. First of all, let me send my sincere greetings to the friendly people of Russia, to welcome the China-Russia Committee of Friendship, Peace and Development, representatives of the Chinese and Russian media and business communities. As they say, friendship gets stronger through constant communication. Russia is the country that I have visited most frequently since becoming the President of China. In recent years, China and Russia, as good neighbors, friends and reliable partners, have built exemplary relations between large neighboring countries in the spirit of good neighborliness, friendship and cooperation. This long-term friendship and mutually beneficial partnership is not just the historical choice of the two peoples but an actual necessity for building an open and tolerant world, long-term peace and universal prosperity. Regardless of changes in external circumstances, our determination and commitment to developing China-Russia relations remain unwavering and unfailing. Today, I see in the audience not only leading representatives of the traditional friendship between China and Russia but the young vanguard of the two countries’ brotherly cooperation. For many years, you have made strong efforts to consolidate the long-term friendship of our countries and promote business cooperation, which is a stable support in the development of the Chinese-Russian comprehensive partnership and strategic interaction. This year, the China-Russia Committee of Friendship, Peace and Development marks 20 years. Over these 20 years, the committee, as the main channel of public contact between the two countries, has largely promoted cooperation in science, professional exchange, youth exchange, media, business, and between regions. 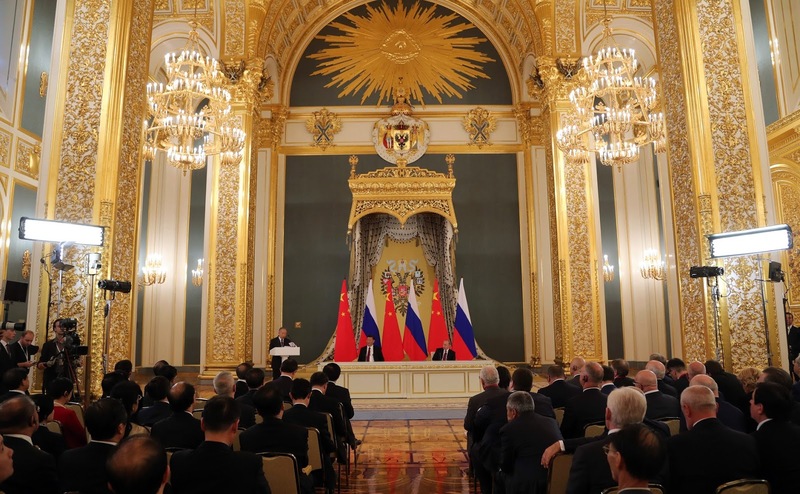 The committee has achieved remarkable results in covering the ideas of the centennial friendship and strengthening of mutual understanding between Russia and China, and, therefore, contributed significantly to the full, stable and successful development of bilateral relations. Meeting with representatives of public organizations, business and media communities of Russia and China. The China-Russia Friendship Association marks 60 years this year. For many years, the Association, in the spirit of friendship with China, has brought together a series of activists from different areas and unfailingly promoted Russian-Chinese cooperation in trade, the economy, science, technology, education, culture, youth and regional issues. It has been irreplaceable in strengthening the public foundation of our friendship. The Year of the Russian and Chinese Media rounds out this year. Within this project, both parties have held over a hundred exciting events. 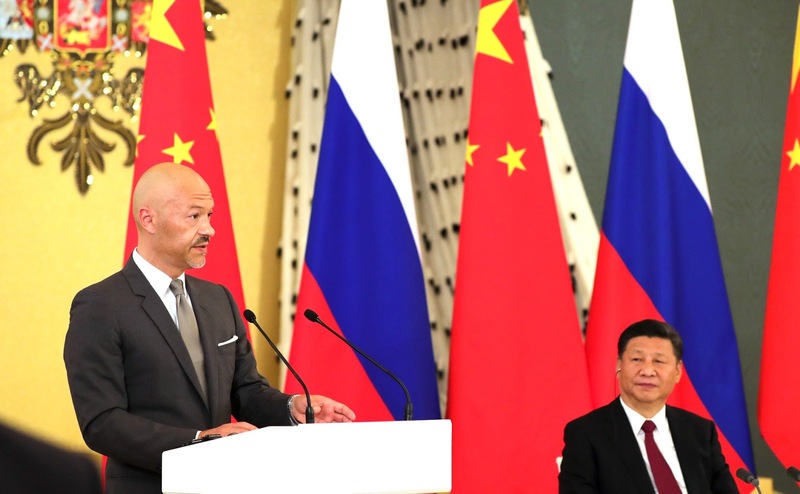 Just recently, Moscow hosted the Third Russia-China Media Forum. Dialogues and contact between our media organizations constantly develop. All these efforts allow us to distribute information about our friendship and relations, improve understanding and links between our peoples, and increase the influence of our media at the international level. Chinese-Russian trade has shown rapid growth in the first half of the year. Business cooperation is growing. 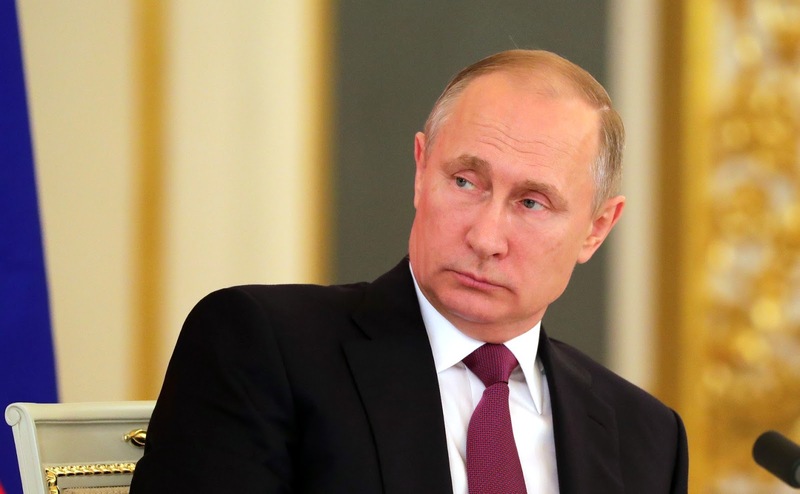 Russia has already become China’s largest supplier of crude oil and electricity. The construction of the gas pipeline on the eastern route and the Yamal-LNG project are moving ahead; investment and financial cooperation are expanding. We are stepping up our practical cooperation, which allows us to deepen our common interests and receive mutual benefits. I believe these achievements are closely linked with the meticulous work of Chinese and Russian entrepreneurs. I am convinced that with a common effort we will make our cooperation in this area more viable and dynamic. I rely on our common efforts to promote Chinese-Russian relations. I hope for your further efforts to advance our relations. I believe our relations not only benefit our peoples, but also enhance peace, stability and security all over the world. Mature and stable China-Russia relations meet not only the mood of the times but also the aspirations of our nations. We rely on your active work, your reason and your power. I hope you will continue working to spread Chinese-Russian friendship. I believe that this is a great and long-term goal that has no end. I hope the Russia-China Committee of Friendship, Peace and Development, our Friendship Society and our media will use their unique advantages for consolidating contacts and cooperation between the public circles of the two countries, which will provide more positive energy for the opening of new horizons for our people’s diplomacy. I hope for your further efforts to promote our practical cooperation. I see many points of contact in our development strategy. The Chinese people are consistently implementing their dream of the great revival of the Chinese nation. The Russian people are also rapidly moving forward on the road to the development and prosperity of their country. I hope you will strive for new successes in deepening practical cooperation between our countries. China and Russia are good neighbors united by common rivers and mountains. We have a common border of about 4,300 km. We have enormous, broad common interests. Let us work together in the spirit of the era to translate into life our dream of the happiness and welfare of our nations. Chairman of the Russian side of the Russian-Chinese Committee of Friendship, Peace and Development and founder of the company Art Pictures Fyodor Bondarchuk at the meeting with representatives of public organizations, business and media communities of Russia and China. 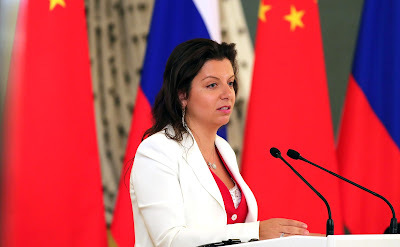 Editor-in-Chief of the Russia Today TV channel and the Rossiya Segodnya News Agency Margarita Simonyan at the meeting with representatives of public organizations, business and media communities of Russia and China. 0 Comment to "Business and media communities of Russia and China."